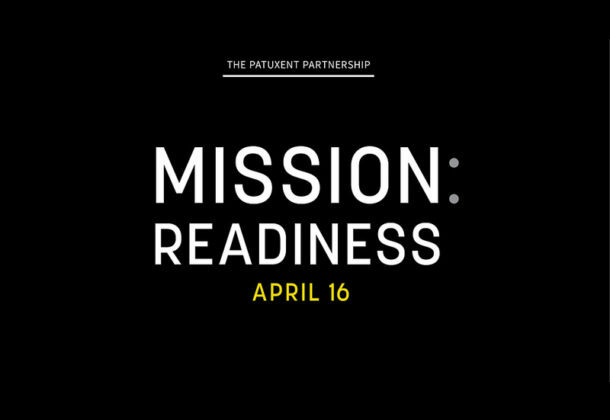 The Patuxent Partnership has created an event to highlight and discuss the greatest challenges to mission readiness. A full day of speakers and panel discussions is planned for April 16 to explore readiness, sustainment, and moving forward together. The event will be held at the University System of Maryland at Southern Maryland at 44219 Airport Road in California, Md. VADM Dean Peters, NAVAIR commander, is set to give the keynote address and set the tone for the day. His address, “Addressing Readiness: A View from NAVAIR,” will start at 8:15 am. Next, hear an address at 8:45 am titled “Addressing Readiness: A View from the Customer” by RADM Roy Kelley, commander of the Naval Air Force Atlantic. From 9:30 to 11 a.m., a discussion titled “Elements of Sustainment” will include Sean Burke, PEO (T); RADM R. Duke Heinz,Commander, Naval Supply Systems Command Weapons Systems Support; Tom Rudowsky, SES, Assistant Commander for Logistics and Industrial Operations, NAVAIR; and RADM Michael Zarkowski, Commander, Fleet Readiness Center. Lunch will be held from 11 am to noon, and will include opportunities for networking and to see a variety of exhibits that will be set up in the center. The first panel discussion will be held from noon to 1:30 p.m. The discussion is titled “Refocusing the Foundational Elements of Sustainment,” and will be moderated by Mr. Rudowsky, SES, Assistant Commander for Logistics and Industrial Operations, NAVAIR. Panelists include RADM Michael Zarkowski, Commander, COMFRC; Brian Hirschman, BCG; RADM R. Duke Heinz, Commander, Naval Supply Systems Command Weapons Systems Support; Chris Holder, Research and Engineering (AIR 4.0) lead for COMFRC; and Bill Taylor, SES, Assistant Deputy Commandant for Aviation, HQ-USMC. A discussion titled “Future Sustainment” will begin at 1:30 p.m. The discussion includes Capt. Stephen Tedford talking about Navy Sustainment System Model, and Rich Bomhold, Director SV2020, talking about Sustainment Vision 2020. The second panel of the day will begin at 2:30 p.m. and is titled “Moving Forward.” The moderator for the panel will be Brian Frank. Panelists include Garry Newton, SES, Deputy Commander, NAVAIR; Candy Chesser, SES, Director, Logistics Management Integration, NAVAIR; Tony Cifone, SES, Deputy Assistant Commander for Research and Engineering, NAVAIR; Roy Harris, SES, Director, Aviation Readiness * Resource Analysis, NAVAIR. Mr. Newton will give the closing remarks at 4 pm, and a reception will be held at the Taphouse after the event.